The proliferation in retail channels makes inventory management highly challenging. This holiday season, I find myself reflecting on omnichannel forecasting, and my days as a buyer for Bonwit Teller in the late 1980s. As buyers, we developed our own merchandise plans (our version of a forecast), gross margin plans, and turnover plans. What we called “forecasting” was essentially a top-down planning approach whereby the organizational plan was allocated across different departments based on senior management’s opinion about trends. Then, that departmental plan was further divided among the class and category plans, again based on the intuition of buyers and divisional merchandise managers. We did not use any statistical modelling, and we didn’t even have the benefit of Excel spreadsheets to assist with plans, not to mention any forecasting software. As buyers, we managed our inventory levels and open-to-buy. Purchase orders were committed 8 to 12 months in advance of delivery for each of the seasons. And for fast-moving products, if Bloomingdales and Saks Fifth Avenue hadn’t beat me to the reorder, I would be fortunate to receive a replenishment shipment. Markdowns were synchronized throughout the store—regardless of sell through patterns—and were aligned with a pre-designated sale event. It is abundantly evident that today’s retail environment differs dramatically from my years in the industry as a buyer and a merchandise control manager in the 1980s and 1990s. 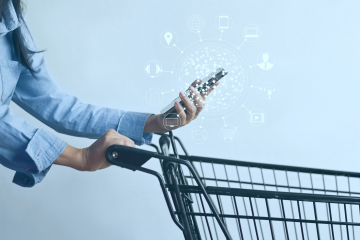 The rapid and widespread adoption of mobile computing has revolutionized the shopping experience, and omnichannel retailing has emerged to meet the evolving consumer needs. Omnichannel retailing provides consumers with a seamless shopping experience during which they can move freely across physical, online, telephone, and mobile technology environments to fulfill all their shopping needs. This includes information gathering, transferring ownership and taking possession of products, accessing post-purchase support, and returning unwanted items. Indeed, omnichannel has generated new retailing terms and acronyms such as BOPIS (buy online, pick up in-store), BORIS (buy online, return in-store), mPOS (mobile point-of-service), showrooming (gather information in-store, buy online), and web rooming (gather information online, buy in-store). A key factor to omnichannel success is unrestricted access to inventory across all channels, including in-store, website, mobile app, etc. Among the challenges for retailers in creating this fluid shopping experience is identifying the newly emerging channel-related variables that impact sales, and determining the optimal location for staging inventory to deliver the best customer service at the lowest cost. With these different shopping methods, there are inevitably challenges and trade-offs that must be made. 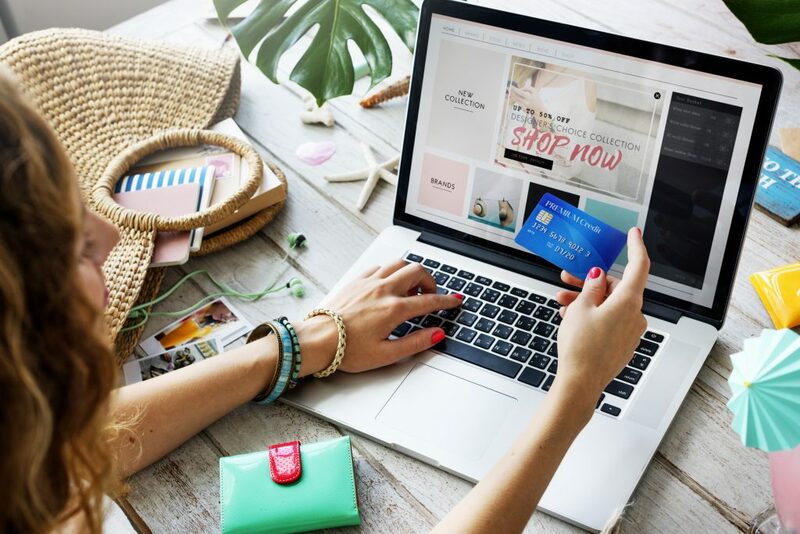 A typical omnichannel customer might begin her shopping experience by browsing through a catalog while drinking her morning coffee, then logging onto the retailer’s website to see if the sweater she found in the catalog is in stock in a nearby store. She locates a store that has two units left in stock, and clicks the “Reserve in Store” button, as well as clicking the Facebook button found on the retailer’s website to share a photo of the sweater with her friends. After receiving 30 “likes,” she drives to the store where the sweater is being held aside for her by a sales associate. She tries on the sweater and decides she needs a different size that the store doesn’t have, so she uses the retailer’s app on her mobile phone to order for home delivery. Shortly after leaving the store, she phones the retailer’s call center to request that the order be scheduled for overnight delivery. In this example, the customer utilized catalog, website, social media, in-store, mobile app, and telephone seamlessly to complete her transaction. This seamless transaction is only possible because the retailer integrated its channels with technology that enables unrestricted access to inventory. Omnichannel retail demands more sophisticated modelling and software than those currently used by most companies. An example of the emergence of the omnichannel phenomenon would be the progression from single channel retailers with a brick-and mortar presence, into multi-channel retailers with the addition of a mailorder catalog operation. Similarly, many single-channel direct marketers, such as Cabela’s and Coldwater Creek, adopted a multi-channel approach by opening brick-and-mortar locations to extend their catalog operations. The dualchannels allowed retailers to enhance their product offering, and to reach customers that did not live within driving distance to their stores. Eventually, the addition of a website extended the multi-channel strategy further. Until very recently, the common practice among multi-channel retailers had been a siloed approach to managing the multiple entities. Each channel had its own merchandising teams comprised of separate sets of buyers and merchandise control analysts (i.e. forecasting and planning), with a staff of allocation analysts dedicated to the store-line merchants to allocate SKU quantities to stores using inventory management systems (IMS). The different merchandising groups were often housed in separate locations, as was the inventory they purchased. For many years, retailers and their customers suffered through the inefficiencies of this bifurcated approach. Consider the example of a national retailer with dozens of brick-and-mortar locations in the Northeast, where they experienced a severe winter. They quickly sold through their in-store winter coat inventory early in the season, while the dot.com warehouse still had plenty in stock. By the time the store-line buyers had placed and received their back-up order for which they paid expedited delivery fees, the dot.com buyer was offering a second markdown on the slow-moving inventory, some of which were the same styles being concurrently delivered to the stores for sale at full price. If the company had adopted a single view of shared inventory, product could have been allocated from the distribution center for store delivery, thereby achieving higher margins, fewer missed sales, and faster turnover. Other inefficiencies stemming from siloed channel management include the reduced ability for buyers to leverage volume during vendor negotiations, different pricing and promotional activity on the same products across channels, and the inability for customers to return products purchased online to a brick-and-mortar location. 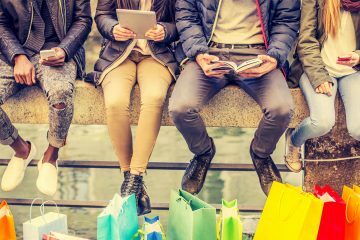 Today, with mobile computing and shopping apps, consumers have much greater visibility into the stores’ inventory, pricing, and promotional activity, and they have begun demanding a consistent, seamless shopping experience. If the website is running a 10% discount on purchases over $100, the customer challenges the store associates to apply the same discount in the store. If a customer is shopping in a store and sees that the $200 item they are holding in their hand is $180 on the same company’s website, they insist on paying the lower of the two prices in the store. Or when the customer sees the $200 price tag, then finds a lower price on another company’s website—the practice referred to as showrooming – she actually completes the purchase online from the competitor because the retailer won’t match the competitor’s lower price. 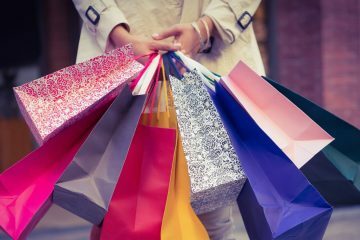 Thus, it was the consumer armed with technology that compelled retailers to adopt the omnichannel shopping experience. Omnichannel in most retail environments is really more art than science. Most retailers have moved beyond the model where the buyer, forecaster, planner, and allocation analyst are one and the same. Although retailers have established a separate staff for merchandise planning/forecasting, the planners typically are not formally trained to use, and therefore don’t employ, sophisticated statistical models. We’re talking exponential smoothing, regression, or decomposition that are used by many IBF members. 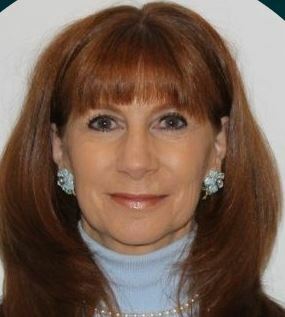 However, given the use of Customer Relationship Management (CRM) systems to accumulate “big data” of customers’ purchases as well as their keystroke interactions with a retailer’s online app, website, social media postings, and other points of contact, more sophisticated data analysis is available and is necessary to determine customer demand patterns. The goal is to allow the customer access to the company’s inventory regardless of the physical location of the customer or the inventory. For example, retailers can measure the conversion rate resulting from “push notifications” via social media or text messaging that alert customers to a time-sensitive promotion, combined ith geolocation data indicating the customer’s proximity to the nearest store when they clicked on the notification. A September 2016 report published by Boston Consulting Group, “Digital or Die: The Choice for Luxury Brands,” offers an “omnichannel index” measuring the level of importance of the ability of consumers to reach a brand through multiple channels. Millennial, Generation X, and Baby Boomer segments scored 86%, 84%, and 75%, respectively on the omnichannel index, indicating multiple channel access is “somewhat important” to “very important.” The implication is that all age groups are moving freely across the Internet and physical store locations to make purchase decisions, leaving behind a trail of keystrokes and transactions that can be analyzed for predictive patterns. 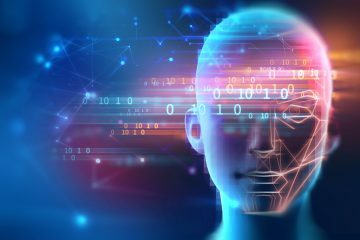 Leveraging this rich data to predict demand will require new skills and more sophisticated technology than what is currently being adopted by most retailers. 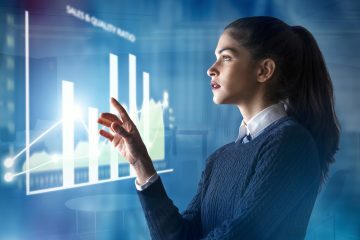 Retailers can hire forecasting experts familiar with statistical modeling, or they can provide training on techniques and technologies for their employees. Retailers that don’t leverage this opportunity to improve omnichannel forecasting will find themselves at a competitive disadvantage compared to those who embrace the data. Among the most common trends in omnichannel is the recognition of the need for an “unrestricted” or “shared” view of inventory across all channels. The goal is to allow the customer access to the company’s inventory regardless of the physical location of the customer or the inventory. The first challenge is how and where to deploy the inventory, and several models exist. Each of the models has trade-offs between cost and customer responsiveness. Each of the models requires use of a sophisticated Distributed Order Management (DOM) system to assist in optimization of the fulfilment location decision, requiring inventory field of vision across all stocking locations. The fulfilment location can be selected based on multiple criteria, including proximity to customer location, unit cost to ship, speed of delivery, and least likely store to sell the product. Below, I will discuss the trade-offs associated with three different models of direct-to-consumer (DTC) fulfilment in an omnichannel environment: dedicated fulfilment centers, store-level fulfilment, and vendor-managed fulfilments. The most cost-efficient model of a direct to- consumer (DTC) shipping-cost-per unit basis is to process all DTC inventory through a dedicated fulfilment center (FC) that is designed for the sole purpose of DTC shipment of “onesies.” In this model, all DTC orders are shipped from the FC. Whereas a distribution center (DC) is designed for bulk shipments to stores in which product is stored in palletized cartons, an FC is configured for ease of picking single SKUs for DTC shipments. All items are unpacked upon receipt and stored as individual units, similar to what you would find in an Amazon FC. In an omnichannel environment, the advantage of configuring an FC for maximum responsiveness to consumer orders must be considered alongside the disadvantages associated with carrying separate inventories stored in the FC, the DC, and the stores. Aggregating inventories in fewer locations (known as inventory risk pooling) lowers overall inventory levels and results in fewer stockouts. Some retailers house their FC and DC inventories under the same roof, but it still requires dedicated inventories and square footage for the separate operations. The advantage to configuring an FC and DC under the same roof is the ability to transfer inventory within the four walls if one of the two areas is faced with an out-of stock while the other still has product in stock. An alternative solution is to establish DTC fulfillment capabilities in the store location. An advantage is the proximity to the consumer. Some retailers believe their best defence against Amazon’s sophisticated home delivery fulfillment strategy is to deploy more inventory to the stores and establish a pick-pack-and-ship operation in each store. This approach leverages many store-shipping locations—potentially hundreds of shipping locations across the country—to compete with Amazon’s network of 50 fulfilment centers and 20 sortation centers. Another advantage is the increased revenue for the store to offset the reduced foot traffic experienced by so many brick and mortar locations. The disadvantage to this option is the necessary investment in resources, technology, and training to establish mini FCs in each retail store that is designated as a fulfillment location. Decisions must be made regarding which store associates will be responsible for fulfillment activities, and how much of their time should be dedicated to fulfillment versus serving customers on the floor. Among the retailers that are investing in store-level fulfillment capabilities are Target, The Home Depot, Desigual and Macy’s. A third alternative is fulfilment direct from the vendor. This option allows for “extended aisle opportunities” for retailers to sell goods on their website for which they don’t have room within the space limitations of the retail stores and distribution centers. An obvious advantage is reduced inventory carrying costs. A risk is the loss of control over the level of customer service. An additional risk is the lack of dedicated inventory. You may forecast sales of 100,000 units of an item, but when the consumer orders roll in, the vendor may have already sold their inventory. Ultimately, the goal of a fulfilment strategy is to achieve acceptable customer service levels at the lowest possible cost by aligning supply and demand. The process to accomplish this supply-demand integration is Sales & Operations Planning (S&OP). In a series of JBF articles in the 2004- 2005 Fall, Winter, and Spring editions, Larry Lapide explains that S&OP is a mid-range tactical process designed to align supply and demand. 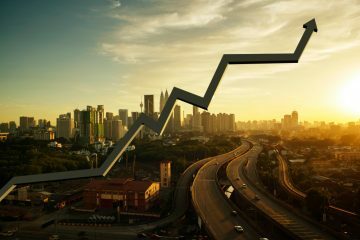 Among the first steps to a successful S&OP process is to create “a baseline forecast and rough cut demand and supply plans,” which are “aggregated, synthesized, and translated” to identify supply-demand imbalances to ensure sufficient supply to fulfill demand. In an omnichannel environment, aligning supply and demand becomes daunting when considering the multiple channels that must be forecasted, and the potentially hundreds of inventory locations from which those sales might be fulfilled. The supply side issues are equally as daunting, and will require complex decision making and data analytics to optimize outcomes. In the Journal of Business Forecasting article “How to Make the S&OP Process More Robust,” by Debashis Sinha (Spring 2015), he explains the importance of senior management involvement in the S&OP process. He says, “Equally important is that the strategic vision of a company is well aligned with its financial objectives. A good S&OP process can easily achieve it.” The shift in balance of sales from store to e-commerce channels, and the DTC fulfillment location decision both have substantial impact on contribution margins. For example, in one of my conversations with a manager of a retail DC, he estimated that the cost of shipping product in bulk from the DC to stores is approximately 0.05%of the retail value. In this cost-efficient model, customers assume the responsibility of transportation and delivery to their home. Alternatively, the cost of shipping DTC from the DC is 10 times costlier at 0.50% of the retail value. The cost of DTC fulfillment from the store was estimated to be 1.0% to 5.0% of the retail value or higher, depending on the product. As consumer purchases increasingly shift from in-store to online, the margin implications associated with shipping must be considered. For example, the National Retail Federation predicts 2016 holiday sales to increase 3.6% to $655.8 billion while e-commerce sales are expected to increase up to 10% and could reach $117 billion, or 17.8% of total retail sales. The margin impact of fulfilment decisions on financial objectives could be substantial, and that conversation would emerge during S&OP discussions. 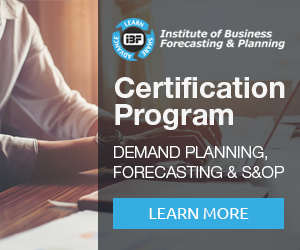 A robust S&OP process enhanced with integrated supply and demand planning technology can make the forecasting and planning process much more manageable. While S&OP process adoption has increased among manufacturers, the adoption rate among retailers has been much slower. With the hockey-stick growth patterns of omnichannel shopping, retailers would be well served to consider implementing formal S&OP processes and technologies to remain competitive with the likes of Amazon. This article first appeared in the Winter 2016/2017 issue of the Journal of Business Forecasting. Access the database for industry-leading articles or receive every issue (and a host of other benefits) with IBF membership. Previous ArticleWhat Is The Best MAPE Formula To Use for Forecasting?